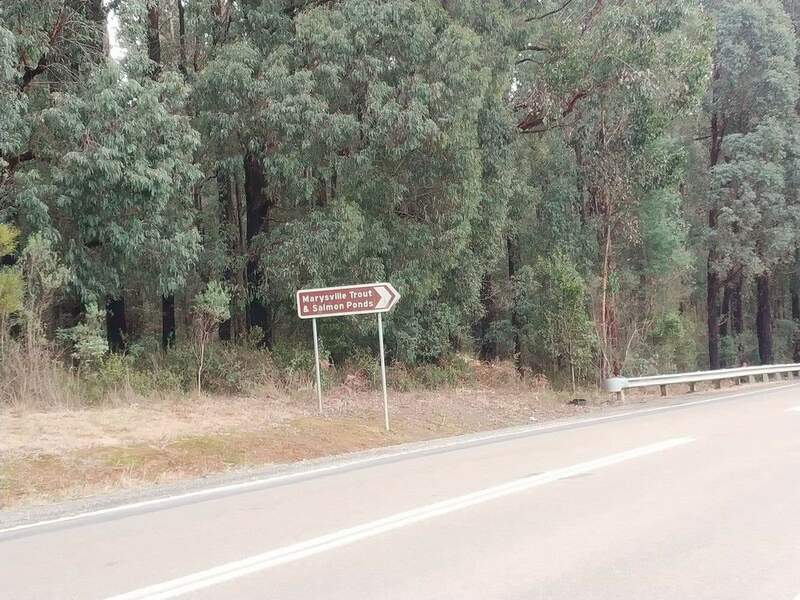 The Marysville Trout and Salmon Ponds are located in a beautiful scenic spot nestled near the picturesque slopes of Mount Gordon. The ponds are fed by fresh spring water flowing from the hills and mountains near the surrounding forests. The pond’s boast crystal clear water with no traces of chemical waste. As one of the pristine waterways in Marysville, this pond is one of the best spots to fish and swim. Apart from the varieties of fish, the pond is a habitat for nymphs, worms, frogs and mud eyes. You will also come across an array of aquatic plants in the waters of this pond. 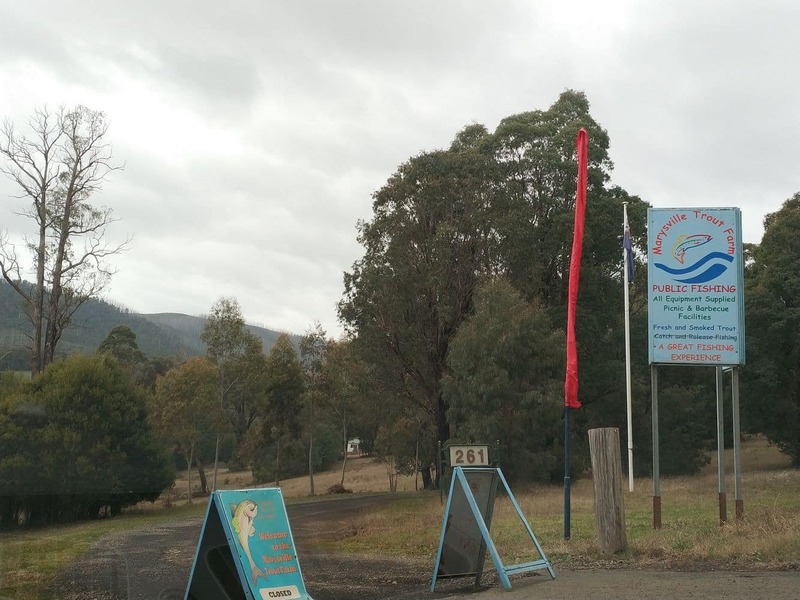 This scenic spot is one of the most popular picnic areas amongst visitors to the Marysville region. There are a number of picnic tables and outdoor gas BBQ facilities. Picnickers can conveniently cook their freshly caught salmon or rainbow trout and have a fresh and enjoyable lunch. Just bring along some salads, bread, plates and drinks and your lunch is sorted. For those who don’t want to fish, you can feed the fish and watch the feeding frenzy as the fish jump out of the water in a mad dash for food. You can also try to catch a fish with your hands in the Touch Tank. Kids can spend hours trying to catch the slippery fish making it a fun enjoyable for the whole family. Just bring yourself as rods, bait and tackle are provided. 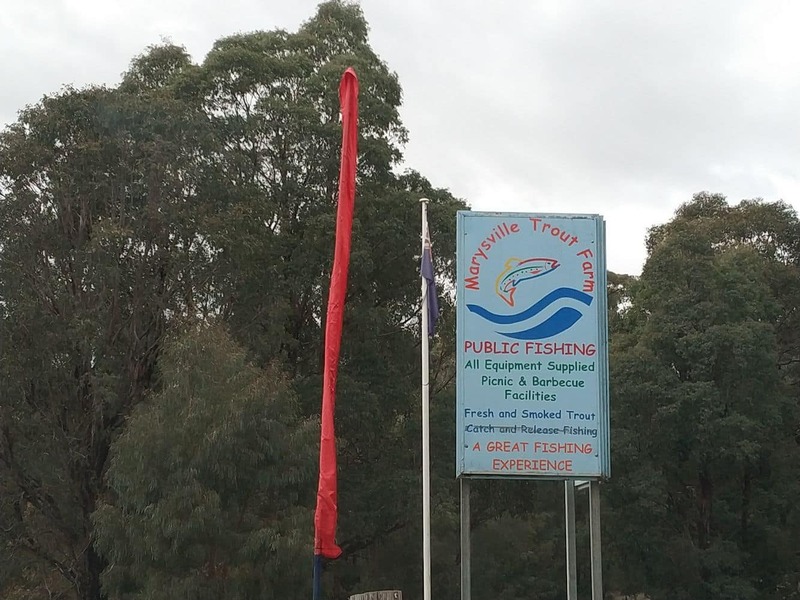 So come and catch your lunch at the Marysville Trout And Salmon Ponds. If you are looking for accommodation in Marysville or within the Yarra Valley, click on our link below for the best deals.